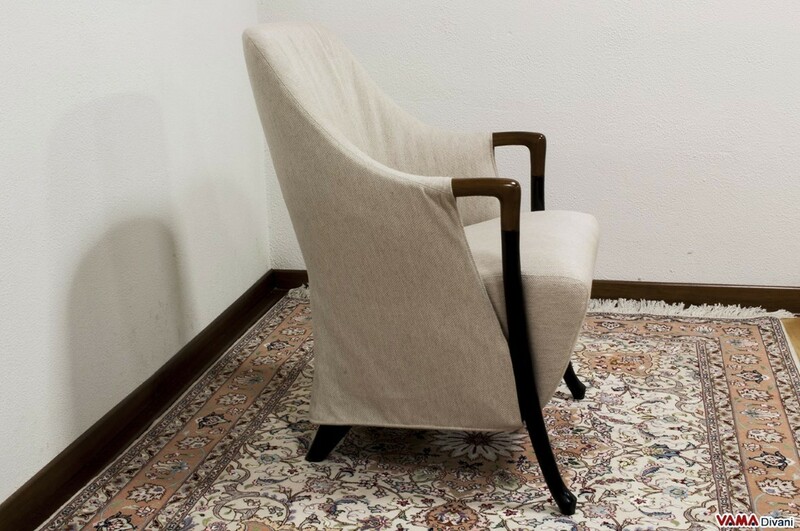 Paros is a fabric armchair characterised by a very original design, a piece of furniture by a pleasant and very compact frame, absolutely perfect, therefore, also for smaller rooms. 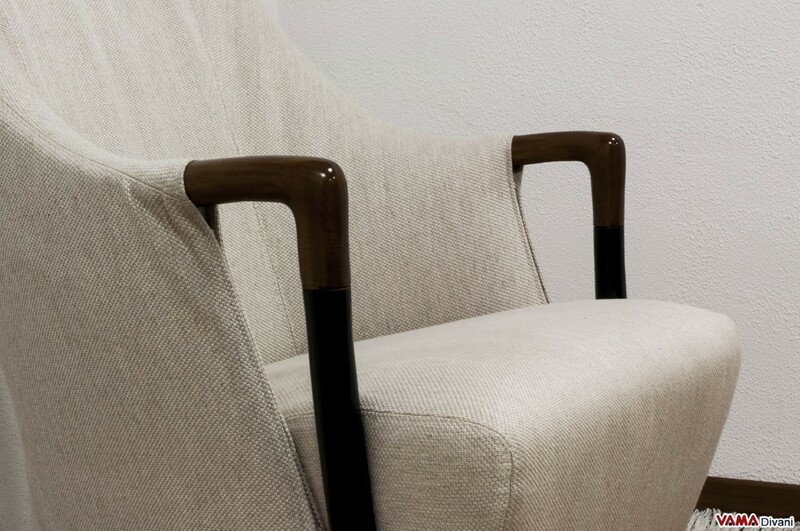 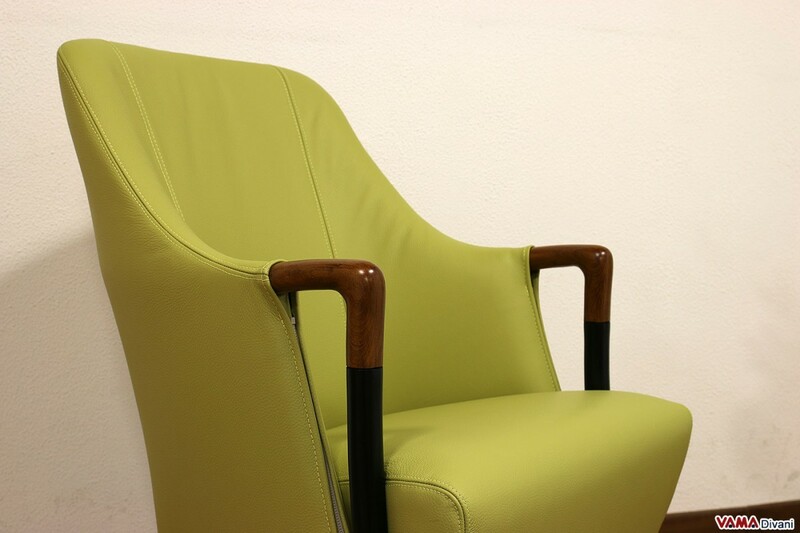 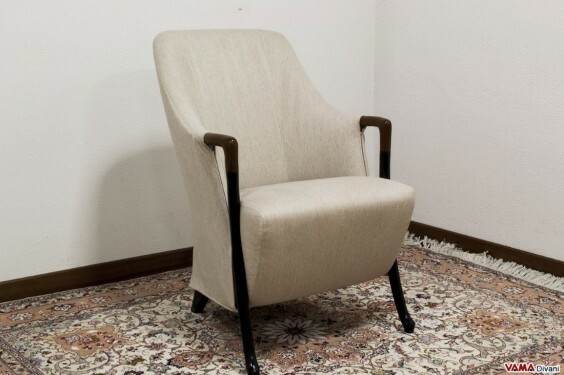 The main feature of the Paros armchair is certainly represented by its bold and elegant two-tone wooden arms, which also act as support structure to the front seat; the fabric fully covers both the very soft and finely upholstered seating and the large and perfectly ergonomic back, although it belongs, as above mentioned, to a smaller armchair. The classic Paros armchair can be unlined in a very easy way, therefore if you had the need to clean its upholstery, you only have to place it in your washing machine just as if it was a piece of clothing. 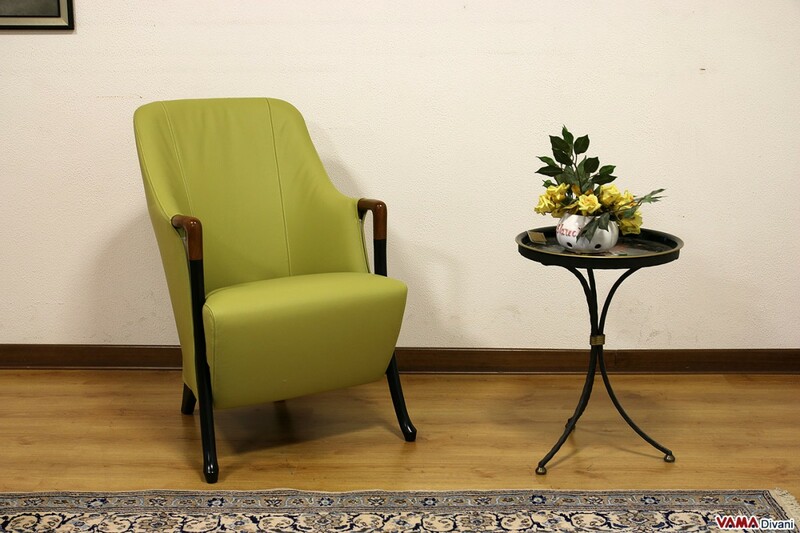 Armchair characterised by a very simple and elegant style, Paros can be successfully placed in any room, from your living room to your bedroom.